The best viewpoint in Southern-Norway! See 1/6 of Norway from the top! 8,6 km round trip. See one-sixth of Norway from Gaustatoppen! On a clear day, Gaustatoppen offers the greatest panoramic view in Norway. 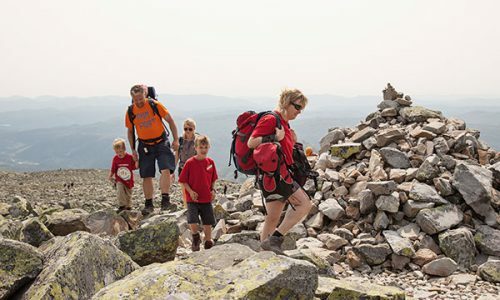 The hike to Gaustatoppen is family-friendly and suitable for fit children who are used to hiking. 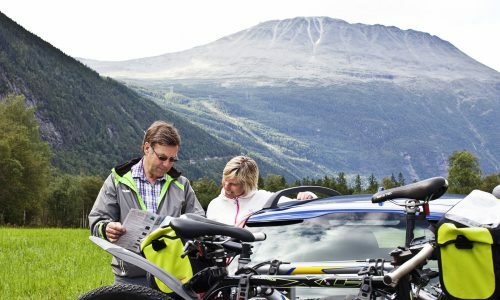 The recommended trail to Gaustatoppen goes from Stavsro (1100 metres). Follow FV 651 from Tuddal or Rjukan. Close to the county border you will see a large parking area and the cafeteria Stavsrohytta. This is where the approximately 5 km long hike beings that leads to the top. Estimated time is 2 hours one-way. The ground is mostly covered by broad rocks. Nevertheless, good shoes with ankle braces are recommended. As you approach the top, you will see the increasingly magnificent view of the mountains of Telemark and Buskerud, and Oslomarka in the distance. 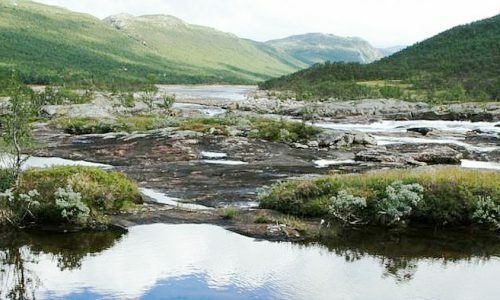 Towards the end of the trail in the north there is a breathtaking view in all directions, and especially of Hardangervidda that unfolds to the west. 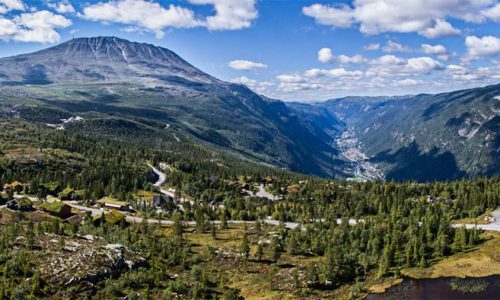 The starting point for the trip is at Stavsro, on the mountain road fv 651 between Sauland / Tuddal and Rjukan. To get to Stavsro from Rjukan center: Follow rv 37 for about 4 km to Dale. Turn right towards Gausta area and follow fv 651 in 13 km to Stavsro. Here is the car park and summer cafeteria. 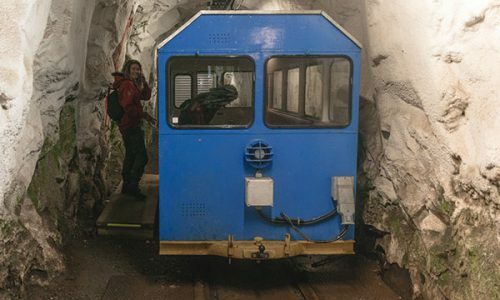 With tram – inside the mountain! Gaustabanen runs from Svineroi, on the mountain road, 651 between Sauland / Tuddal and Rjukan. Svineroi is located approximately 2 km after entering Gaustablikk, towards Tuddal.